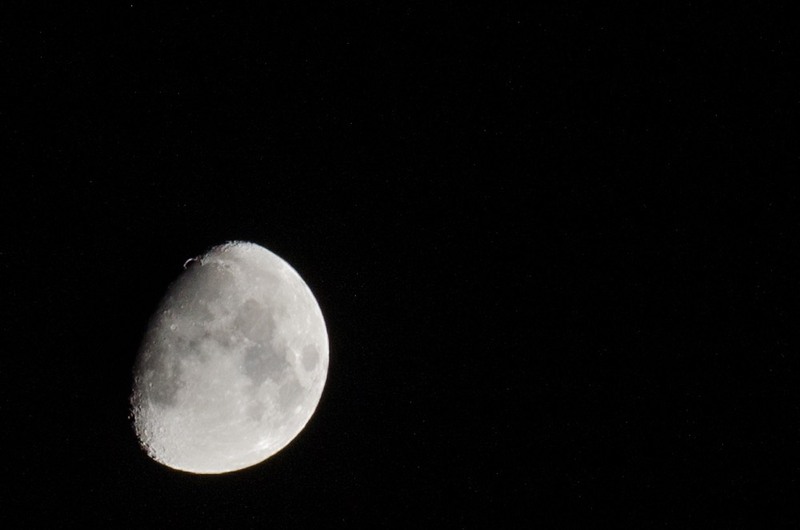 I was up late tonight and managed to get this interesting pic of the moon. What’s fascinating is that with very minimal processing it turned out there were hundreds of stars in the background and they came out as perfect pinpoints of light. My new-used 80-200mm f/2.8 is turning out to be a pretty amazing lens, especially for the price. This is without much effort since it’s late on a worknight, but I now know I’m going to have try to get some much better shots, perhaps outside the city later on this year. I might even think about renting an even longer lens to see what I can do. This entry was posted in Photography, Science on April 29, 2015 by Gabriel. I saw this very cool animation of the shadow of Mars‘ moon Phobos passing over a dust storm. Apparently an enterprising enthusiast combed through online archives of photos taken by the Viking 1 probe back in ’76 and found this sequence. It’s kind of cool to see that people are still finding new information this much later. If you’re an astronomy nerd like I am you’ll probably find it worth checking out! This entry was posted in Internet, Science on December 16, 2010 by Gabriel. I just came across this cool photo of the binary star AFGL 3068 on Bad Astronomy. The star is dying and is wrapped in a cloud of carbon and because it’s a binary star the cloud has formed a spiral around the star itself. You’ve probably never seen anything quite like it and the accompanying article is also worth a read if you have any interest in astronomy. This entry was posted in Science on September 7, 2010 by Gabriel. Was poking around the web this morning and noticed that NASA has some photos from the MESSENGER probe online now. Enjoy! This entry was posted in Science, Technology on January 22, 2008 by Gabriel.